Fortnite is booming and taking over all the battle royale gaming world. Currently, the game is available for PC, Mac, PS4, XBox, and iOS. A lot of people have been emailing us and asking for the release information on Fortnite for Android or Fortnite APK version. So in this article, we will be giving you guys the release information on Fortnite APK version. On May 18, 2018, Epic Games have been announced that the fortnite apk version or the fortnite android version will be available by this summer or later. So the game is still not released for Android Yet, so any third party website that is providing you the download files for fortnite are SCAM! They could easily be a malware so don’t download those and keep visiting EpicGames Website for more information. I believe that they will firstly giveaway beta version of the game in waitlist basis just as they did it with the iOS version of fortnite. This is because of the number of Android users and the different types of Android devices. There are no such problems with iOS because every device is under Apple Company. but that is not the case for Android. Fortnite is a co-op sandbox survival game developed by Epic Games and People Can Fly and published by Epic Games. The game was released as a paid-for early access title for Microsoft Windows, macOS, PlayStation 4 and Xbox One on July 25, 2017, with a full free-to-play release expected in 2018. The retail versions of the game were published by Gearbox Publishing, while the online distribution of the PC versions is handled by Epic’s launcher. Fortnite is set in contemporary Earth, where the sudden appearance of a worldwide storm causes 98% of the world’s population to disappear, and zombie-like creatures rise to attack the remainder. Considered by Epic as a cross between Minecraft and Left 4 Dead, Fortnite has up to four players cooperating on various missions on randomly-generated maps to collect resources, build fortifications around defensive objectives that are meant to help fight the storm and protect survivors, and construct weapons and traps to engage in combat with waves of these creatures that attempt to destroy the objectives. Players gain rewards through these missions to improve their hero characters, support teams, and an arsenal of weapon and trap schematics to be able to take on more difficult missions. The game is supported by microtransactions to purchase in-game currency that can be used towards these upgrades. 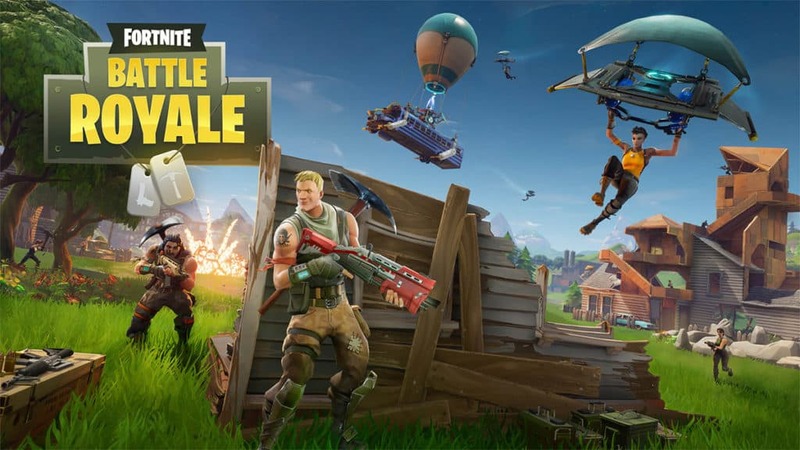 There are many such battle royale game available in the market but there is no exact alternative for fortnite is because of the building fort kinda feature is not available in any battle royale games. PUBG or Player Unknown Battleground is more of a real-life battle royale. It is more like Counter-Strike with the battle royale functionality. PUBG is available for PC, Android, and iOS. But its paid in PC and Free for Mobile versions. Free Fire is another alternative for fortnite apk. This game is really good with almost same as fortnite scenes but no building features. Its really good and I would recommend it instead of PUBG. Rules of Survival is another alternative to fortnite but it is not so good. Its almost same as PUBG. But if you ask me Free Fire or Rules of Survival I would recommend Free Fire only.